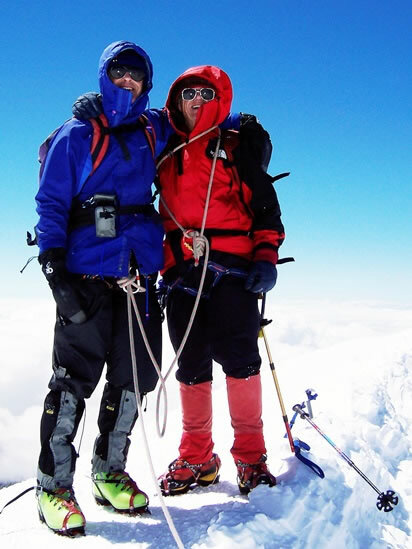 Eric and I were ecstatic to be standing on the 4,808-metre / 15,774 foot summit of Mont Blanc, the highest mountain in western Europe. By a complete coincidence, I’d reached the summit of Mt Elbrus, which is in Russia and is the highest mountain in Europe, exactly ten years previously (i.e., on Saturday, 13 August 1994). What an appropriate anniversary!